Are you ready to enjoy a stress-free Christmas? Plan like a pro with Christmas: Sorted! Take it one week at a time - this planner takes you from 10 weeks to Christmas, all the way to The New Year. Nothing is left out! Are you thinking that "this year will be different" - but aren't sure exactly how to make that happen? You really CAN achieve an enjoyable Christmas without feeling burned out by the time you get to it, with Christmas: Sorted! - the astonishing amount of organising lists is so helpful and I've already started planning my most organised Christmas ever! I'm really looking forward to the coming weeks now - I feel like I am on top of everything, I've worked out my budgets and there will be no last minute panics or stress. Thanks again - I'm really delighted with the purchase!" Time is short. Life is busy. ... and Christmas adds a completely extra level to it all. How on earth are we meant to get it all done? Years ago, when I started hosting friends and family at my home over Christmas, I wanted to be the perfect host. I tried to create loads of gorgeous food, have a beautifully decorated home that was welcoming, create special memories and much much more. ... and it was exhausting! I didn't know what to do to get the balance right. What needed to be done and how to do it so I didn't need a holiday AFTER the holidays! It was time to get sorted. That's when I started to create my Christmas Planner - and it's been a game-changer in my life, so I want to share it with you right now so it can change yours too. It's the result of many years experience - and is my sanity-saver in the lead up to Christmas - I wouldn't be without it now. Christmas:Sorted! is the Ultimate way of Planning a Christmas you'll LOVE! Have posted all the cards and presents with plenty of time to spare - having missed no-one. Have your home prepared for Christmas - decorated and ready for guests. Know you've got all the right food and drink that you will need over Christmas and the New year. Be able to relax and enjoy your time. Used extra tips and ideas from me, and those in the Facebook Group - to make this the best Christmas ever! ...You'll have loved the holidays - AND be excited for next year already! But the very best thing ? I specifically created this planner with the idea that you can re-use it again and again each year. It's undated - so you don't have to buy it more than once. You can simply set it up, and use it for EVERY CHRISTMAS FROM NOW ON. In fact - once you've set it up once, you'll always have a head start when that time of year comes around again! (you'll only ever need to print off the pages you want to create again each year - and because it's a digital download, you get to print off as many copies as you like!). So - what are you waiting for?! - Let's do this! Christmas:Sorted! 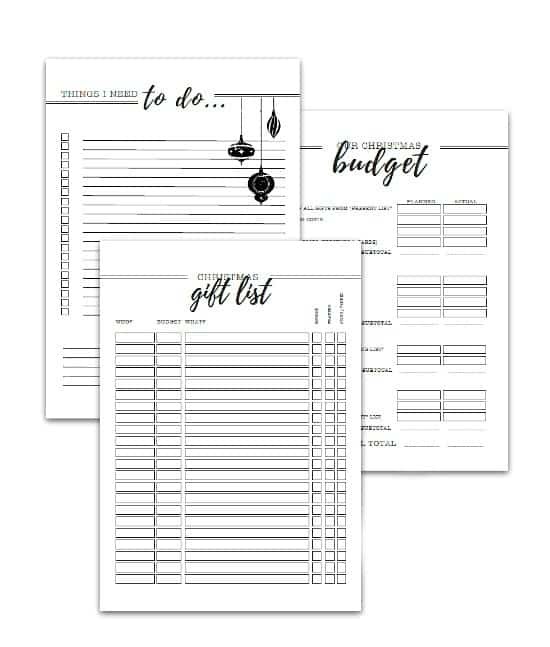 is your Ultimate Christmas Planner - with 102 gorgeous printables that take you through every step of organising Christmas like a pro. All printables are black and white - so you can personalise with your own coloured pens and stickers, or leave simple and classic. You can make them match your style and decor easily. I love to add some of the printables to the wall using clipboards or a frame - they look great and keep you on track all at the same time! If you prefer your week to start on a Sunday OR a Monday - no problem - both versions of printables are given as well. 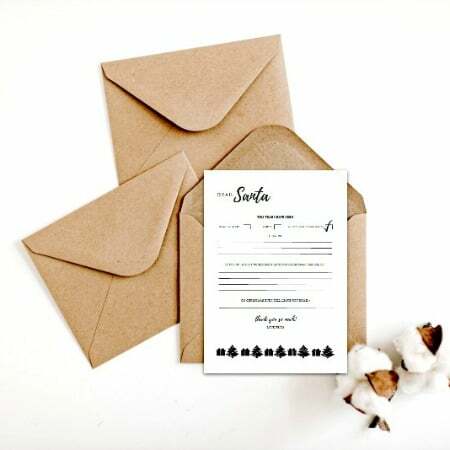 It has been created to be printed on both sides of the paper (duplex) but you can still use each printable on it's own of course (if you wanted to hang one on the wall, for example). You can also print off whichever pages you would like at any time - once it's yours, you can use as you want to. 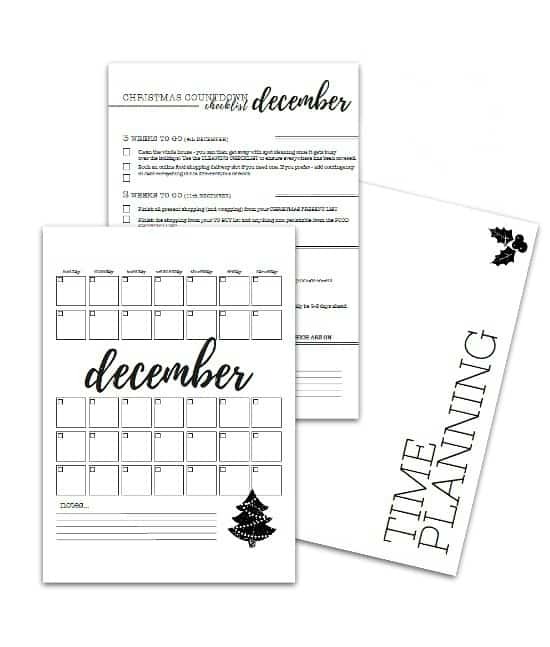 CHRISTMAS COUNTDOWN CHECKLISTS - Pre-filled with everything you need to do in the run up to Christmas - or blank to fill your own in (one for each month, and an extra one for the crazy time during Christmas itself! TO DO LIST - every planner needs a general TO DO list to write down all those little jobs and extras! HOME PLAN - Having guests / a party / general Christmas stuff? - This is the place to think about what your home will need to be ready for it all. 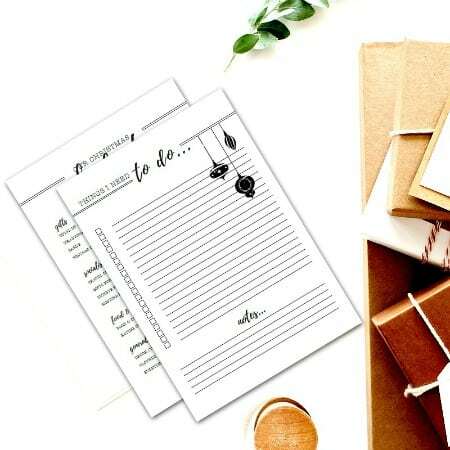 TO BUY FOR THE HOME - LIST - Blank with categories ready prepared for writing all the general things you need to get, and pre filled to give you some extra help! THANK YOU LIST - When you open presents, why not write your list of who got what for whom - makes writing thank you's easy! TIMELINE FOR CHRISTMAS DINNER - work out all the timings and write down when you will eat by - then it's just a case of following the plan and enjoying the day! LIST FOR NEXT CHRISTMAS - Once Christmas is over, you can write down things you loved, things you didn't - and anything else you want to remember for next year - including anything that needs replacing or anything you wish you had done. SALES SHOPPING LIST - Sales are the best time to get Christmas items for next year - so you will be super organised when it comes around again! Weekly emails from me helping to keep you on track in the lead up to the festivities. You really can't go wrong! ... and it's great to meet you! I'm the creator of Christmas:Sorted!, and owner of OrganiseMyHouse.com. My passion is helping people to love their homes and simplify their lives, and I'd love to help you too. 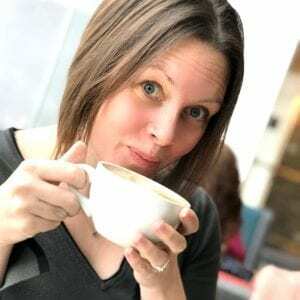 I owned my own Home Organising and Styling Business in the UK for 12 years, and helped countless people 1-1 to declutter and design their homes to work for them. Wanting to reach more people with my tried & tested methods and knowledge, I moved from hands on help to the online world full time, and have never looked back! I now get to help thousands of people, all over the world by creating planners, printables, eBooks and eCourses that have been carefully put together using all the experience I have had with clients and in my own home life - and I can't wait to share them with you. Welcome to the start of something amazing! Choose the package that's right for you - and let's get Christmas:Sorted! 102 page pdf Planner to download & print off as many times as you like. Black and White format - for easier printing, and so you can add colour with pens etc... to match your style. Updates of the planner, should I ever add anything. Access to a Private Facebook group where you can ask questions, get extra help & tips, and stay on track with motivation and support. Weekly eMails from me throughout the Christmas Period, starting at 10 weeks to go, all the way through to the New Year. They will really help you to keep momentum. The Planner can be accessed immediately after payment, and you will get an email confirmation straight away. If you have have purchased the EXTRAS package, then the Facebook group and eMails from me will start at 11 weeks to Christmas. They follow the Christmas Countdown in the Planner, and will therefore stop after the New Year. ​​Will I get something in the post when I buy this? No. This is a digital product and will delivered to you via email. You can use a pdf reader such as Adobe, or print it out - the choice is yours. I would advise you to print out a copy straight away and create your own file for the planner so you have it ready to go when you need it. How do I print the Planner out? The planner is formatted to print out on both sides of the paper - this gives it the best look and feel and stops it being too bulky (or wasting paper). Simply set your printer to print on both sides (this is sometimes called duplex printing). If your printer doesn't have this setting, then I would suggest getting it printed at a local print shop for the best overall look. (I have included a Print release form for you to take to show that you have permission to print it off). (Please note that colours may vary slightly depending on printer settings). ​How long do I have access for? How does the lifetime of this product sound? I would always let you know if this will be stopped at any time, but while it is a live product, you can join in year after year. You will also have access to any updated Planners if they are ever created. ​What if I am unhappy with my purchase? I would never want you to be unhappy! If you are unsatisfied with your purchase, contact me within 30 days and I will give you a full refund. You are fully protected by our 100% Satisfaction-Guarantee. If you don't see a difference in your home within the first 30 days of your declutter, then simply let me know.